Whatever you want your wesbite to be, we got your back! Shine Your Projects With ScriptSun Skills. Whether it’s interface design, UX, front-end development, motion design, accessibility, business, or something you’ve not yet discovered, our team of expert instructors have you covered! We create a professional web presence customized to your business needs. Manipulating and controling data to meet necessary conditions throughout poor application performance and compliance risk. include monitoring and tuning, storage and capacity planning, backup and recovery, archiving, partitioning, replication, much more. 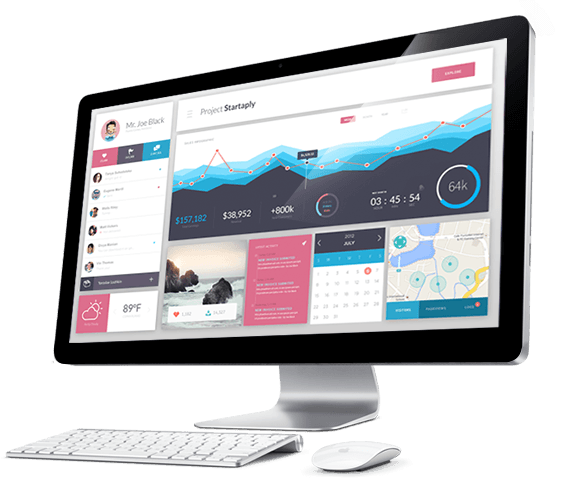 We design beautiful and functional Windows desktop applications that support various device formats and input types. to publish, test, and share. Adding content, and toggling between different device views to watch your app come alive. We provide Server Management, Server Migration, Server Setup, Cloud Setup, Server Monitoring, Script Installation, Cluster and Virtualization Setup services. Some of them include database servers, core app servers, caching servers, web servers, and more. Our performance marketing solutions are trusted, techniques and tactics used to increase the amount of visitors to a website by obtaining a high-ranking placement in the search results page of a search engine (SERP) — including Google, Bing, Yahoo and other search engines. We are beholden upon their suppliers not to make changes that create incompatibilities with previous versions, for the most part, we integrate external data via interfaces (APIs, or Application Programming Interfaces), that the third-party makes available. We offer a magnificent code quality and support! We also continue working with you, and follow your plans, We look at your services and to the featuers of your site, to give an advice, and work together to fit your needs. Start your own project now!